The Scoop on a New Electric Toothbrush + Coupon Code! 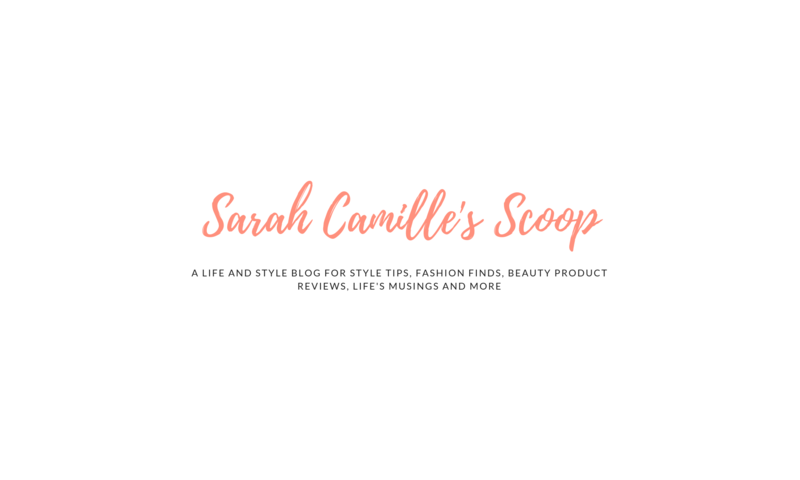 Today I’m sharing the scoop on Smile Brilliant’s new Electric Toothbrush, and I am super excited because I have a special deal to share with you! Earlier this year, I tested Smile Brilliant’s at-home teeth whitening kit to ensure I had the brightest pearly whites for my wedding. I was super impressed with my results! So, when Smile Brilliant reached out about trying their new electric toothbrush, I knew I had to check it out. Let’s dive in to my cariPRO™ Electric Toothbrush review and the good news for y’all! What’s Inside the cariPRO Electric Toothbrush Individual Package? In addition to this package, Smile Brilliant offers a Deluxe Package with 2 more replacement heads at $129 and a Couple’s Package, which is essentially everything in the Individual package times two. The Couple’s Package costs $199. 40,000 Vibrations per Minute: I think this is a big reason why my teeth feel SO clean after brushing! 5 Brush Modes: Clean, White Massage, Gum Care & SensitiveThe Clean setting was my personal favorite and I enjoyed using the Gum Care mode along my gum line. Slim and light-weight design with gray soft-touch grip: The design is really good-looking and it cleans easily. Waterproof Design: It is totally safe for shower or bath! Price: Compared to other electric toothbrushes with 5 modes, the cariPRO is about half the price. The replaceable toothbrush heads are also quite reasonably priced. For me, the only downside of the cariPRO electric toothbrush has been that there is no travel case. I want to take the toothbrush with me, but have been too nervous that it would get damaged in a suitcase. A hard travel case would be awesome to have, so I hope Smile Brilliant makes them. Other than that, I have loved this toothbrush. There is no way I am going back to a manual one! Now, it’s time for the BEST news for you! I have a special code for you to get 50% off your own cariPRO electric toothbrush. That means you can get the Individual Package for $59.50!! I would love to hear what you think. Do you use an electric toothbrush? Have you heard of Smile Brilliant’s new electric toothbrush or have you used their at-home whitening kit? What are your secrets to keeping your teeth clean and white?! Share your thoughts in the comments and let’s chat! Hi friends! I am back from our beach weekend with the summer skincare tips I have learned over the years to maintain and achieve healthy, nourished skin. Summer is the time to show some skin and bring out your swimsuits, shorts and tank tops. With all the extra skin we show in the summer, our skin can turn into our best or worse accessory. A cute summer tank with shorts does not look as attractive if your skin is dried out and neglected. I know from experience and I have made some mistakes when it comes to my skincare routine and products. So, today I am sharing the five simple ways I take care of my skin and maintain a youthful glow during the summer. I recently started making the switch to organic skincare, and have already seen what a difference good quality, natural products makes. When it comes to skincare, you get what you pay for. Cheap, generic skincare products that are readily available at the drugstore are usually full of inexpensive chemicals that do nothing to nourish your skin at best, or can outright damage your skin at worst. With organic skincare, you can rest easy knowing the products you put on your skin will gently nourish and nurture your skin, making it healthy, soft and supple—perfect for flaunting at the beach! For healthy, glowing, summer-ready skin, organic beauty products from a reputable brand, like Well Within Beauty can transform your skin. Well Within Beauty offers a huge range of essential skincare products made from the finest natural and organic ingredients. Their selection includes makeup remover, cleansers and an eye firming serum. Warmer days and increased sun exposure can wreak havoc on your skin and cause your oil glands to go into overdrive. You may experience oilier skin during the summer, which may tempt you to skip using moisturizer. Don’t do that! Just because your skin is oily does not mean it is properly moisturized. In fact, keeping your skin adequately hydrated actually helps to manage your natural oil production. The key is to find a lightweight moisturizer that feels comfortable on your skin during the hot summer months. As I have mentioned before, I use almond oil year-round. It feels light, absorbs really quickly and it works wonders on my skin. If using a moisturizing oil doesn’t suit you, avoid thick creams and lotions that can make your skin feel smothered and sweaty in the summer and go for a gel moisturizer. You can also try pat on multiple layers of a hydrating toner. RELATED: Check out more amazing benefits of almond oil! What you put into your body affects the condition of your skin just as much as what you put on it. Nourish your skin from within by taking nutritional supplements, which Well Within Beauty also offers. Supplements packed with essential vitamins, minerals and antioxidants protect your skin cells from free radical damage and boost skin cell renewal for a healthy, youthful glow. Eating fruits and vegetables is great way to nourish your skin as well. Tomatoes are one of my favorite things to eat for my skin, especially in the summer. There is lycopene in tomatoes, which provides natural skin protection by defending your skin from UV radiation. Studies also show that the ingredients in tomatoes help delay wrinkling and keep your skin looking young. Regular exfoliation helps your skin shed dead cells faster, revealing fresh new radiant skin underneath. For a youthful summer glow, exfoliate regularly with a gentle yet effective chemical exfoliator, with AHA (alpha hydroxy acid) or BHA (beta hydroxy acid). About three times a week, I use Dr. Brandt’s Microdermabrasion Skin Exfoliant, which has AHA, jojoba oil, aloe vera and a few other magical ingredients! Stay away from harsh physical scrubs that can rub your skin raw and cause it to become sensitized or reactive. Treat your skin like you would a newborn baby—with tender, loving care instead of rough scrubbing and rubbing. A lot of facial and body scrubs contain overly harsh physical exfoliators like crushed walnut shells that can damage your skin, or microbeads that are harmful to the environment when washed off. My last tip is kind of a no-brainer. You should never, ever skip sunscreen during the summer when the sun’s rays are strongest. You should actually wear sunscreen every day, no matter what the weather, because the sun’s UV rays are so powerful that they can penetrate through clouds, glass and windows. Sun protection is especially important during the summer when people tend to wear lighter clothes that expose more skin. So far this summer, my favorite sunscreen is by COOLA. I use the one pictured above on my face. It has a smooth non-greasy feeling and a lovely, light tea scent. Be sure to choose a sunscreen with broad spectrum protection and an SPF of at least 30, and wear enough of it to cover all exposed areas of your face and body. On work days, when I’m not directly in the sun, I use my go-to tinted moisturizer, which is SPF 20. RELATED: How I Get a Glowing, Summer Tan without the Sun! Hopefully these summer skincare tips will help you discover more nourished and healthy skin this season! Remember that exercising a consistent skincare routine is also key to maintaining healthy skin. I would love to hear how you take care of you skin during the summer. Do you use organic skincare products or take supplements to improve your skin? Share your favorite skincare products or summer skincare tips in the comments. PIN THESE SUMMER SKINCARE TIPS FOR LATER! Hello friends! In case you missed the news, Amazon Prime Day starts TODAY (July 16th) at 3:00 p.m. EST and ends on Tuesday, July 17th at 11:59 p.m. This means 36 hours of a million crazy-good deals are coming your way hot. Seriously, there will be more than 1 million deals. Today, I want to share with you our Favorite Prime Day Deal. It has saved us time, made our home cleaner and totally changed our lives! I realize this might sound dramatic, but when I try to add up the number of hours this product has saved us in the past year, I lose count after two weeks. “So, what is it? !” you ask. It is our robo-vacuum. Yes, and it vacuums for us every day. It is ahh-mazing to say the least and one of the best things is that we paid only $160 for it. It is currently $90 less than its normal $250 price. Compared to the $500+ price tag of other robot vacuums, this was a steal. It was about $50 off from the retail price, which I believe has gone up slightly in the past year. Leading up to last year’s Prime Day, I did a lot of research into these to see if they were really worth the hype. With Will and I working full-time jobs and living in a single floor condo, it made sense to consider getting one of these. The Eufy line of robo-vacs continually gets high remarks and great reviews. That combined with the good price, made us decide to pull the trigger. I can confidently say a year later that this machine is worth every penny. You can schedule it to run each day at the same time, like clockwork! Once it’s set up, make sure there is nothing on the floor that can get caught in the vacuum. Then, the Eufy is good to go! It is amazing to think of the thousands of hours Eufy has saved us. Since we have to make sure the floor is clear, the Eufy also forces us to pick things up regularly. Our home is cleaner overall because of this vacuum. Our Eufy has held up through a lot (read: dog messes! yuck!) as well. It is quite easy to take the vacuum apart for proper cleaning, and I’m constantly amazed at how much dirt/grime it picks up! It does a great job on carpet and is perfect for families with pets that shed or anyone who lives on a single floor. There’s nothing like coming home to a vacuumed home after a long day of work. So, if you are thinking about pulling the trigger on a robo-vac like I was last year, the Eufy Robo-Vac is definitely worth buying during Amazon Prime Day. It will be $30 off!! An important note — If you want to take advantage of this discount and/or the million+ Amazon Prime Day deals, you need to be a Prime Member. Click here to sign-up! Do you plan to purchase anything during Amazon Prime Day this year? Do you have a favorite Prime Day purchase from last year? I would love to know if you have a robo-vac too! Is it a Eufy?! Tell me what you think.